Understanding the many kinds of student tracking hardware. Many schools use student tracking software to know exactly when and where their students get on and off the bus. It’s a great tool that gives parents and schools peace of mind. To make the right decision as to which kind of tracking hardware is best to pair with your software, we’ve compiled a list of things to consider when choosing and implementing your student tracking system. One of the first steps is to choose a hardware option that includes a way to scan the student’s entrance to and exit from the vehicle. Ultimately, no matter which route a school goes, the district will benefit tremendously from having a student tracking system in place, as it will allow you to track students on buses, maintain accurate rider manifests, and use reports for reimbursement or audits. There’s no one right answer – find the option that best suits your school’s needs. To help you do so, let’s dig into each a little further. This is a highly recommended and frequently used option. The hardware is capable of scanning both one-dimensional bar codes (the ones with thick and thin vertical lines) and two dimensional codes (QR codes – square shaped codes with boxes on the corners and variable patterned pixels within). 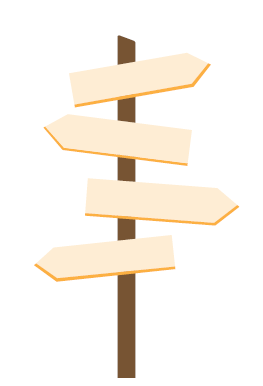 If your district decides to go with this option, there will be a few steps you need to take. First of all, your supplier should provide the readers themselves. The schools will then need to obtain and distribute the cards with bar codes printed on them. Many times, the schools already have these in the forms of student IDs. Secura Key RFID readers are high frequency readers and will register RFID tags that are passed in front of them within a range of three to six inches. For this type of equipment, your vendor should provide the district with both the readers and the blank RFID cards for the students. Most schools then like to take it one step further and turn the RFID tag-embedded cards into a school ID by placing a picture of the student and ID information (such as a student ID number) on them. The cards will also need to be linked to a software platform to accurately track the students. Your vendor should have multiple ways (one by one or a bulk import) to complete this task to get up and running. This option is used primarily for special needs buses. With this hardware, rather than requiring students to hang onto a chip or card, the driver or bus aide checks each student off on the mobile data terminal (MDT) manifest at each stop. The hardware is provided by your vendor, and the only thing schools need to do with this option is load a correct and updated manifest into the system and ensure that the assigned employee selects the students’ names on the list on the MDT at the correct stops as they enter or exit the bus. This option can be more reliable in certain scenarios, as it takes responsibility off the shoulders of children and passes it on to responsible adults. This option is part of Synovia’s Student Ridership Verification solution. When this feature is enabled, the MDT will alert the driver if the student who is currently scanning their ID is at the wrong stop or boarding the wrong bus. In this scenario, the district will need to choose whether they would prefer an RFID or a bar code set up. And depending on their selection, they’ll need to complete additional steps such as sourcing the cards and distributing to students. It’s also imperative that they train their drivers to pay attention and react to any of the alerts that may pop up on the mobile data terminal. Once you’ve made your choice, getting started is rather simple. The equipment can be ordered, installed, and implemented usually within 90 days. And once it’s set up, schools will immediately begin to reap the benefits. Tracking software can also be partnered with a parent and student website and app, such as Synovia’s Here Comes the Bus®. Parents can view their child’s scan data, including the bus number and time and location of the scan on the map. This way they can see for themselves that their child has safely boarded the bus in the morning, as well as when and where they exited the bus in the afternoon. Push notifications and email alerts can also be set up to provide parents with the same information. You can learn more about all of our GPS tracking solutions, including student tracking by downloading your free copy of our magazine, Ridealong with Synovia Solutions. We'll help you stay on top of the latest fleet management trends. One solution that gives you the visibility you need. Did all of your students get picked up this morning? Were they picked up and dropped off at the assigned stops? Which students are on bus 11 at this moment? Transportation departments are often asked questions exactly like these. Luckily, there’s a way to easily answer these questions and many more. Because when schools use a student tracking system on their buses, they know exactly where and when students board and exit the bus. Transportation folks can search by school or itinerary to see a complete view of the district, or they can drill down even farther for more detailed reports and compare the planned and actual capacity. Student tracking software is an easy-to-use solution as well. No time is lost in the process, as students can quickly check in and out when entering and leaving the bus. This simple action gives fleet managers relief in knowing that students are boarding the bus at the right stops in the morning and arriving at the right stops in the afternoon. You can learn more about our GPS tracking solutions, including student tracking by downloading your free copy of our magazine, Ridealong with Synovia Solutions. We'll help you stay on top of the latest fleet management trends. Uncovering the many benefits of cameras in the K12 industry. The installation and use of video camera monitoring systems on buses is an emerging trend that enhances both the rider’s experience and their safety in a number of ways. Let’s start with the overall bus experience. No parent wants to hear that their child has been bullied or harassed while riding the bus. Luckily, the mere presence of interior cameras on the bus is often enough on its own to deter this type of behavior. Without the cameras, it’s a single bus driver trying to keep track of a bus full of children. It’s difficult enough to simply drive the correct route safely, not to mention also trying to keep an eye on what’s going on onboard behind the driver. This all-too-typical scenario, where the driver needs to keep his or her eyes on the road and not the kids, lends itself to bullying, vandalism, and other misbehavior. And in this scenario, if there was an incident, it would likely go unseen by the driver and no one would be held accountable. Luckily, when cameras are in play, this is not the case. The entire bus ride is captured on video, meaning that schools are able to easily monitor on-board student activity to help promote and maintain a safe environment. Capturing everything on video means a better trip for students and drivers alike. In addition to interior cameras, exterior school bus cameras provide many benefits as well. Without exterior cameras, bus drivers must rely solely on what they can see with their own two eyes. Despite the network of mirrors a driver has at their disposal, many obstacles can still easily be missed in this situation. This is where cameras come in. Back-up cameras allow drivers to be 100% sure there is nothing – and no one – in a blind spot behind them before reversing. They can be confident in their ability to navigate their bus without the worry of an accident. Other exterior cameras on a bus’ sides and other locations allow drivers to have a comprehensive view of their exterior surroundings. 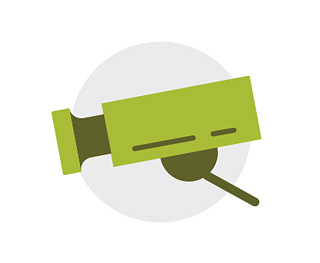 As an added benefit, in the event of an accident, schools with video surveillance on their buses have the ability to accurately document the chain of events leading to the incident. Ultimately, video provides indisputable evidence and allows schools to quickly dismiss false claims against their drivers. To keep up with this emerging trend, Synovia has partnered with Safety Vision, one of the top vendors in video surveillance. This partnership allows our clients to stay on top of this demand with video surveillance systems specifically engineered for tough and lasting performance in any school bus environment. You can learn more about our GPS tracking solutions, including video surveillance by downloading your free copy of our magazine, Ridealong with Synovia Solutions. We'll help you stay on top of the latest fleet management trends. How student mobile broadband is changing the way students study. A great number of students spend quite a bit of time on the bus traveling to and from school each year. In fact, the American School Bus Council reports that 55% of all students travel to and from school on buses, making a staggering 26 million students riding buses per year. 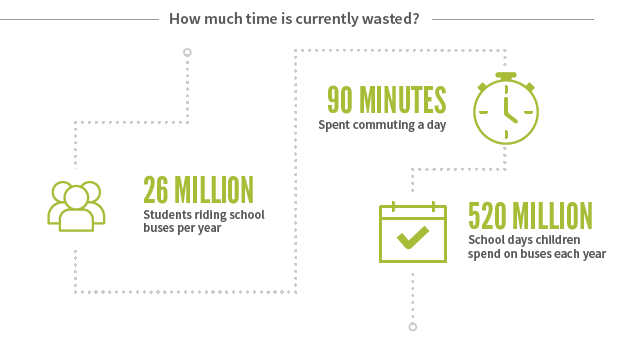 With some students spending up to 90 minutes a day commuting, it adds up to students spending 520 million school days going back and forth on buses each year. That’s a lot of time spent just sitting and doing nothing – or worse, getting into trouble. Now, students can continue to do their schoolwork on the bus. With online connectivity they can safely learn, study, and even collaborate with other students on their assignments. Not only does this benefit the students by allowing them the opportunity to continue to learn while in transit, but it also helps to keep students occupied with things other than causing disturbances or getting in trouble, which means drivers can concentrate on the road rather than unruly kids. But knowing that “kids will be kids,” what happens if instead of schoolwork, they’re visiting sites they’re not supposed to? Not to worry. With Kajeet, each bus can have 4G LTE connectivity preconfigured with safe CIPA compliant/education-content filters to keep students focused on schoolwork and to eliminate distractions. All of the routers are controlled in the cloud, so there is no need to create a private network back to the district. There are also time-of-day management and access controls, so schools can control when the network is in use and which URLs students are allowed to access. As more and more school assignments and learning programs are becoming digital, this trend benefits students immensely – especially those who have limited or no access to broadband internet at home. Roughly seven in ten teachers assign homework requiring internet access, but according to the Federal Communications Commission, up to one third of students lack home access. Student mobile broadband helps to mitigate this issue and helps level the playing field. 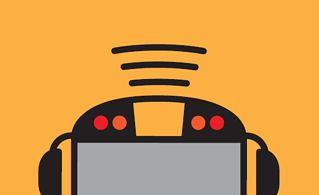 Wi-fi on buses is a great way to keep kids occupied during a busy bus ride to and from school. You may want to consider this trend for your school, and provide a way to improve your students’ productivity and overall academic achievement while keeping the bus ride as uneventful as possible. To learn more about our partnership with Kajeet and GPS tracking solutions, download your free copy of our magazine, Ridealong with Synovia Solutions. We'll help you stay on top of the latest fleet management trends, and decide what's right for your team. Your guide to the latest and greatest transportation solutions. No matter your district’s needs, whether it’s back-up cameras or Wi-Fi connectivity on buses, there’s a solution out there for you. That’s why it’s important for transportation departments to stay on top of all the latest and greatest options available. Below is a quick list – a cheat sheet, if you will – of just a few of the tools out there. 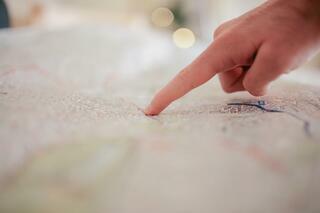 GPS tracking: Track your buses, map your routes, and create meaningful transportation reports. This is one of the most common and most helpful tools for transportation departments. It’s an easy way to help save money and provide added safety as well. Electronic time tracking: Solutions like Synovia’s Time and Attendance allow your drivers to clock in and out within their vehicles. This eliminates paying for non-driving time, and can save you up to 15 minutes per driver per vehicle per day – time that really adds up. Maintenance management: Be proactive in your approach to maintenance, and avoid unexpected and costly fixes. This solution offers detailed engine data, allowing you to protect one of your largest investments – your buses. 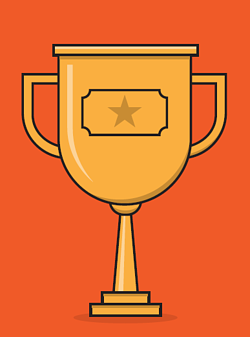 Bus routing software: Design the most efficient routes for your district. Integrate with your GPS and you’ll have a comprehensive transportation management system; compare planned routes to actual, and know when each bus should be at its next stop. 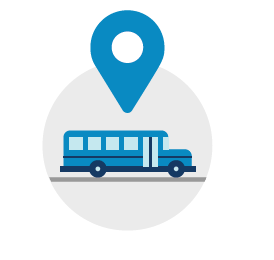 Student ridership: Track exactly where and when your students board and exit their bus. Take it a step further and combine with a mobile app, such as Here Comes the Bus®, to allow parents and students visibility into exactly where their bus is. Video surveillance: Keep kids safer with cameras in and around the bus, allowing you to see and capture what was invisible before. It’s a great deterrent to prevent bullying, and increased visibility helps drivers prevent accidents. Wi-Fi connectivity: Give your students the ability to make the most of their bus ride. Offer broadband service so that students can complete assignments easily while on the move. This list isn’t comprehensive, but it gives you a good place to start. There is a solution out there for almost any need you can think of. The key is to understand what’s important to your transportation department, and to stay on top of trends to know what is available and which solution will best suit your needs. Many times, when schools are considering a GPS tracking solution, they are trying to solve more than one problem. Maybe they are not only looking for better route management and fuel efficiency, but would also like to understand how to better maintain their buses. Or maybe the school is concerned with both accurately tracking time and attendance as well as providing better visibility to their drivers. They may wonder whether it’s possible to accomplish all their objectives in a streamlined manner, without having to juggle multiple vendors and projects. To combat this problem, Synovia has taken a unique and unmatched approach to partnering with leading companies to provide our clients with the best and most robust experience possible. As there are many things schools need in addition to their GPS tracking solution, it just makes sense to partner with other great companies to provide a one stop shop for our clients. Bus drivers need visibility when driving, both to what’s going on inside and around their buses. This is exactly why Synovia partnered with Safety Vision, one of the most recognized vendors of mobile video surveillance products in North America. The company has over 25 years of experience, and has sold over 1 million recording systems. 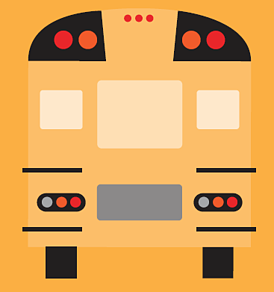 School buses are one of the most heavily used forms of public transportation around. More and more parents are trusting buses to get their kids to school in the safest way possible. Video surveillance is one of the latest tools that districts can use to make sure kids are transported to and from school safely every single day. With this solution in place, drivers can keep tabs on the kids, and just the mere presence of a camera usually deters behavior problems. Drivers also no longer have to rely on their limited visibility on the road. For example, a backup camera can ensure no obstacles are in the way of the bus. By partnering with Safety Vision, we can now offer our clients increased visibility and safety for student riders. Bus drivers can then better keep an eye on the kids and on their surroundings. At Synovia, we strive to provide schools with a comprehensive transportation management system. Our partnership with Transfinder is one way in which we do this. Transfinder is a global logistics software company that is recognized as one of the easiest and most intuitive methodologies for transportation routing, scheduling, planning, and communications. 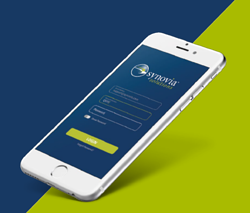 The software is designed to integrate seamlessly with Synovia’s suite of solutions, providing our clients with a complete fleet management solution. Our clients are able to integrate their routing systems with their GPS in order to have an instant and complete view into their fleets. Synovia has also partnered with Servicefinder (another Transfinder solution). Designed solely for school bus maintenance, the browser-based solution offers schools a new way to tackle the complex administrative tasks associated with keeping a fleet of buses running smoothly. By partnering with Servicefinder, we can now offer schools a fleet maintenance program for vehicles, parts, inventory, and work orders. The solution allows for better quality control and more streamlined operations, which saves schools valuable time and money. With this partnership, fleet management has been simplified and expensive maintenance costs have been reduced. Synovia has recently added a new partner to the mix. We are working with Kajeet to extend the classroom to the school bus for our clients. According to the American School Bus Council, 26 million students ride a school bus each year. This equates to quite a lot of idle hours spent on the bus over the course of the school year. Additionally, a surprising number of students do not have access to the internet in their homes – roughly one-third of students lack the access needed to complete homework requiring broadband access. To overcome this issue, imagine a scenario where a student could instead use travel time to work productively on school assignments. This is exactly why we decided to partner with Kajeet. With the help of our new partner, we can now offer our customers filtered wi-fi connectivity on buses. 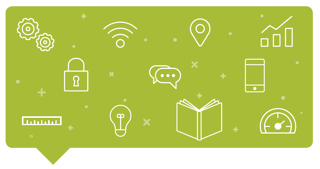 With the Education Broadband program, schools and districts are in complete control of their off-campus, academic internet connectivity. They can decide which traffic is allowed and which is blocked when connected to the bus wi-fi. And with this solution in place, students can now use time going to and from school, sporting events, or field trips learning and completing homework in a safe, monitored environment. It’s mobile learning for your buses with a student-appropriate, filtered, 4G LTE mobile internet. Synovia has also partnered with Verizon Wireless to benefit our customers. Verizon is one of the largest communication technology companies in the world, and the company has transformed how people stay connected over the years. They also have the best nationwide coverage and the best network backup infrastructure. These are just a couple of the reasons why Synovia partnered with Verizon. Our customers get to experience the advantages daily. For example, our partnership with Verizon prevents any overage charges for our customers, so they never run out of data. And all of Synovia’s devices, including in-vehicle screens that display information for drivers, connect quickly and easily to Verizon’s network. Verizon’s coverage and redundancy ensure reliable service, so you can always know where your buses are. Unlike many of our competitors, Synovia has made a concentrated effort to expand our solution set through partnerships. We believe that we set ourselves apart from the rest by offering a truly comprehensive solution for the K-12 industry. In the past, meeting all of a school’s needs would require multiple implementations, support systems, and invoices. But districts no longer must find and then work with multiple vendors. Instead, school districts can work directly with Synovia to get all the solutions that they will ever need from one vendor.